A total number of 100 Bagrus bajad were collected alive and randomly during the period from March 2017 till the end of February 2018 from several localities at Lake Nasser, to be examined for the presence of different types of parasites. 82% of the examined fish were infected naturally with parasites; 55% were found to harbor Ergasilus seiboldi as a crustacean parasite in the fish's gills, 42% were infected with Centrocestus formosanus encysted metacercariae as cysts of digenetic trematodes used fish as second intermediate host (has zoonotic importance) in the fish's gills, 36% were infected with Amplicaecum spp. larvae as larval nematodes in the abdominal cavity and 56% were infected with Procamallanus laeviconchus as adult nematodes in the stomach of infected fish meanwhile, no cestodal infections were recorded at all. The highest prevalence of the detected parasites was during the summer season. 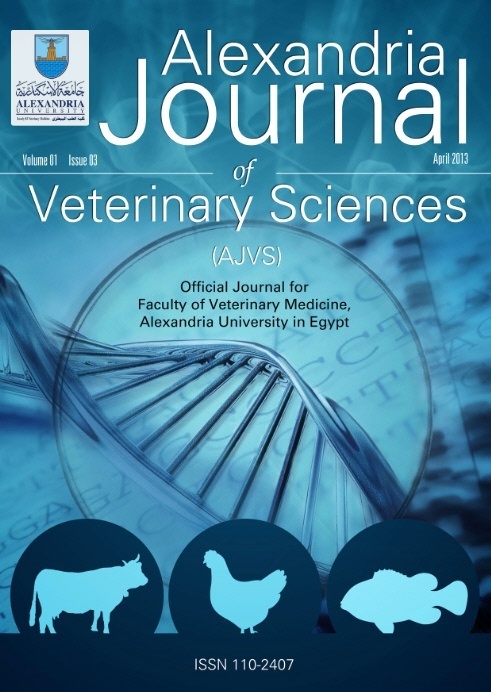 Clinical signs, postmortem examination, seasonal prevalence and histological investigations of infected fish were evaluated. Unfortunately, limited and outdated data are available on the parasites of Bagrus bajad from Lake Nasser so the aim of this study is to describe some of the parasitic community of Bagrus bajad from the lake, provide recent information on the patterns of the isolated parasites, and clarify the impact of these parasites on the infected fish.